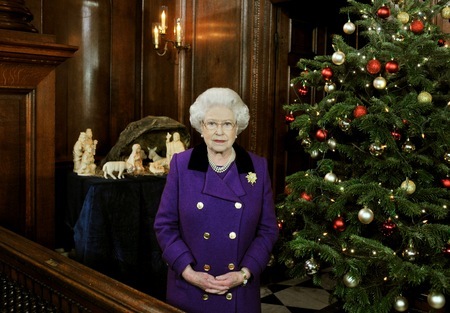 Her Majesty, Queen Elizabeth II Taking Action this Christmas! …. makes a Christmas Address, 2010. The Queen emphasised the importance of sport as a medium that can help build communities and create harmony in her traditional Christmas message today. The monarch’s annual broadcast also focused on how games and exercise can positively give people distance from their day-to-day lives. The Queen said she had seen for herself over the past year “just how important sport is in bringing people together from all backgrounds, from all walks of life and from all age groups. “In the parks of towns and cities, and on village greens up and down the country, countless thousands of people every week give up their time to participate in sport and exercise of all sorts, or simply encourage others to do so,” she said. The royal family are all keen sportsmen and women who take part in a range of activities from polo to golf. Some have even represented Britain in their chosen fields. The Queen’s granddaughter Zara Phillips is a former world three-day eventing champion who followed in the footsteps of her mother, Princess Anne, as a member of the national equestrian team. The Duke of Edinburgh, his son the Prince of Wales and grandsons Princes William and Harry have all played polo, with Philip and Charles now retired from the sport. The monarch’s message also focused on how sport can be used to encourage the development of vital social skills. The Queen pointed to the paralympics as illustrative of the power of sport to rehabilitate and said members of the armed forces who had been injured in battle had shown how sport could “speed recovery”. The speech was illustrated by footage of people participating in sport, including members of the armed forces, and the paralympics, as well as film showing William and Harry playing football with a group of young African orphans from Lesotho. The princes travelled to the remote Semongkong children’s centre in June during a tour of southern Africa. 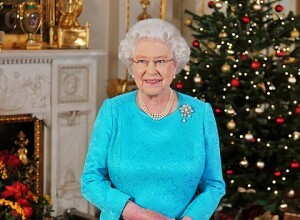 Christmas Day messages are normally recorded at Buckingham Palace but this year the Queen suggested Hampton Court Palace as an alternative – the first time it has been used. The historic building’s Chapel Royal was the venue and its vaulted blue ceiling, made for Henry VIII in the 1530s and lavishly decorated with gold leaf, was shown during the address. At the end of the broadcast a choir of 13 boys and girls sang the traditional Christmas carol The Holly and the Ivy.